Kailua-Kona, HI- Family Support Hawaii was the most recent beneficiary of the Ohana Fuels ‘Fuel Up. Do Good’ program. 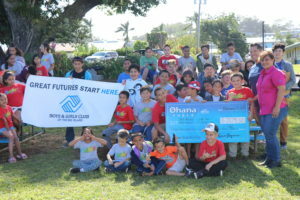 Ohana Fuels partners with nonprofit organizations that serve the needs of their local community, and donates a portion of every gallon of gasoline purchased at all Ohana Fuels stations in that community. 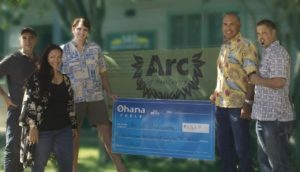 A portion of all 4th quarter sales at all Ohana Fuels locations in the amount of $9,964.80 was donated to Family Support Hawaii. Family Support Hawaii was founded in 1979 by members of the community who were concerned about the life-long consequences of child abuse and neglect. They began providing prevention and early intervention services through Kapiʻolani Women’s and Children’s Center until 1985, when FSH incorporated and became an independent, community based, non-profit organization. Family Support Hawaii now provides supportive services to more than 3,500 Hawai’i Island individuals and families each year. Family Support Hawaii provides services to the community through a variety of programs, including the Early Intervention Services program, the Early Head Start program, the CWS Home Visiting program, the Early Identification program, the Fatherhood Initiative program, and the NEST (Newborn Enhanced Support Team) program. With this donation, the Family Support Hawaii programs will be able to purchase much-needed therapeutic and educational materials and supplies and a lending library of materials for families, which will greatly support the children and families that are served through the agency. These materials and supplies will support the mission of Family Support Hawaii, which is “to support families and communities in providing love and care for our children”. Kimo Haynes, President of Hawaii Petroleum said, “At Ohana Fuels we are proud to support local non-profit organizations through our ‘Fuel Up. Do Good.’community giving program. We value the exceptional work these non-profits do to help local residents and neighborhoods. We look forward to offering continued support through our sponsorship programs”. 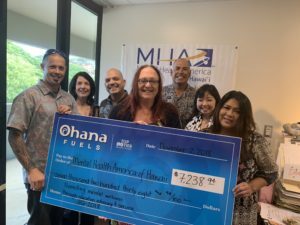 Ohana Fuels is Hawaii Petroleumʻs retail fuel brand that provides competitively priced, quality fuels at safe, clean, and convenient locations including eight stations on the island of Maui and eight stations on the island of Hawaii. Certified as a TOP TIER fuel provider, Ohana Fuels meets the premier standard of gasoline for optimum performance and fuel efficiency. Hawaii Petroleum is committed to making a positive contribution to the communities in which our Ohana Fuels stations operate, and gives local residents a way to support the community with every tank of gas they purchase.